Does Microchip have a C++11 / C++14 / C++17 compiler for their 8-bit microcontrollers? I had a really old solid-state disk in need of wiping. It’s one of Samsung’s very first OEM models and I’m not even sure what machines they were originally installed into with their super-uncommon uSATA connector. 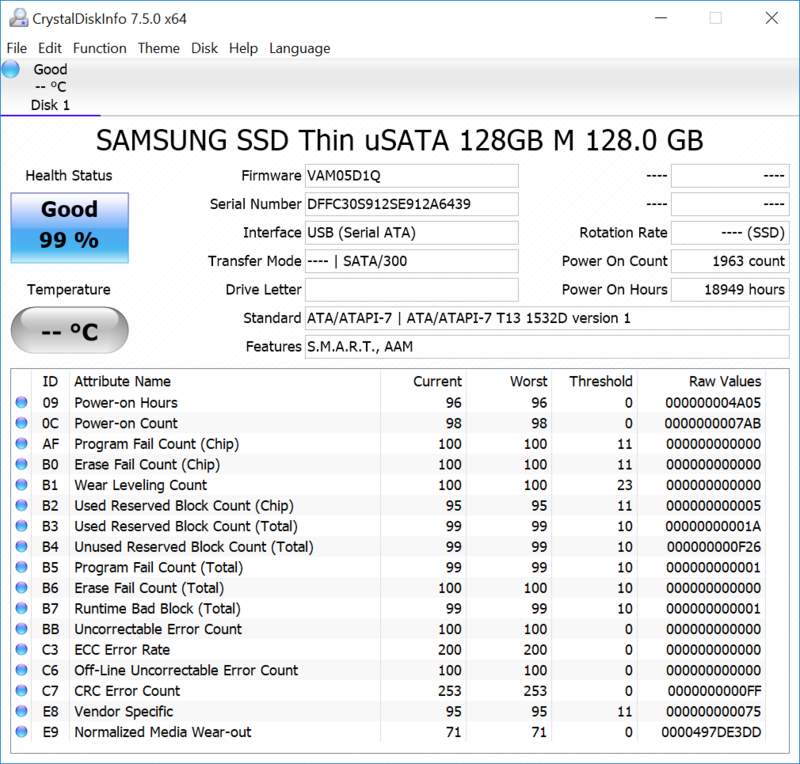 There’s no way to completely wipe out an SSD without resorting to specialized software from the manufacturer (Samsung Magician, for instance, if it supports the drive), or grinding it up in a shredder or smashing it to pieces. But you can get somewhat close by writing all 1’s to the flash cells, which also resets them to their default electrically-erased state and can improve later writes. The first erasure is slower than the second, even though I'm not sure this drive has TRIM support. CrystalDiskInfo says it doesn't. 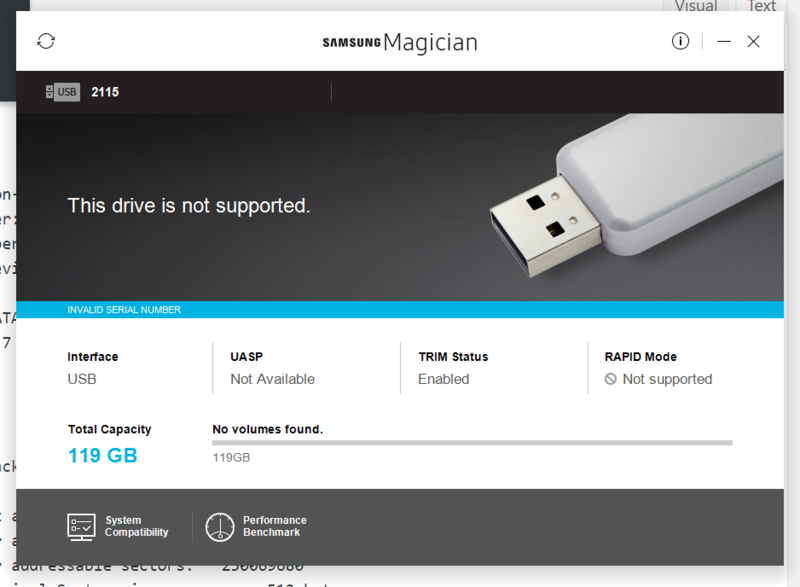 Samsung's Magician software says it does. The second and third erasures exhibit identical write speeds. 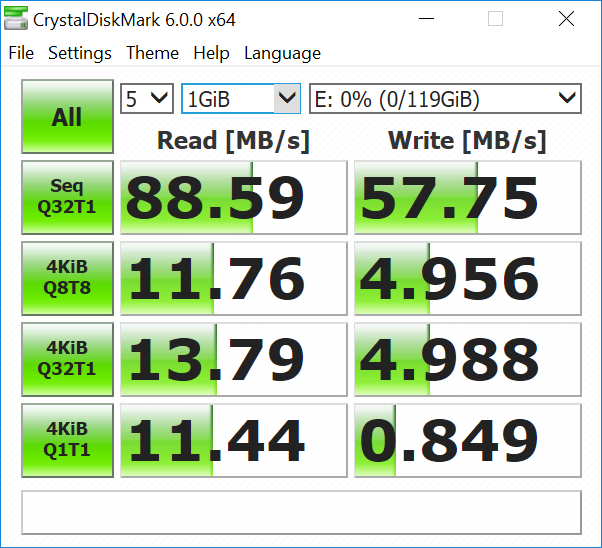 It's a weird drive anyways, but might still be useful as a relatively-quick portable hard disk, depending on the workload. It is only useful for sequential writes. Its 4K and random write scores are pretty atrocious. 6min for SECURITY ERASE UNIT. 6min for ENHANCED SECURITY ERASE UNIT. Auto Offline Data Collection: Disabled. by the host with a hard or soft reset. data collection: 		(  360) seconds. capabilities: 			 (0x53) SMART execute Offline immediate. Auto Offline data collection on/off support. No Offline surface scan supported. Supports SMART auto save timer. Error logging capability:        (0x01)	Error logging supported. recommended polling time: 	 (   6) minutes. recommended polling time: 	 (  36) minutes. After scanning selected spans, do NOT read-scan remainder of disk. If Selective self-test is pending on power-up, resume after 0 minute delay. 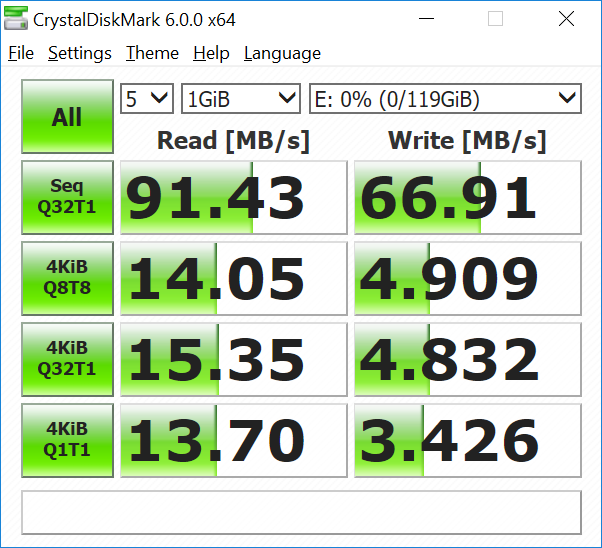 This drive is a piece of junk, it is "just enough" SSD, which is why it came "free" as part of the selling points for a used laptop I bought off of eBay, and which is why I replaced it shortly thereafter with a proper Samsung EVO-series drive.